The app was so easy to set up and use. I used this for the Social Media Marketing World and was able to connect with tons of people and make sure I was on track with the schedule. I also like how I was able to meet new people through the app who attended the event along with me. The messaging is incredibly easy to use. The fact that you can connect with people in a safe manner through the app is great! Sometimes there would be so many messages happening! I wish there was a bit more streamlined process on which ones I wanted to see. Sometimes, when I was wanting to "mention" people through one of the conversations it was not showing up. Not sure why that was. Sometimes it would and sometimes it would not. Other than that there isn't anything that I would really need to change! Definitely make sure that you star the events you are going to so that it integrates with your calendar and you get notifications before it starts! Also, connect with people and join groups with like minded individuals. There was an itinerary for the weekend of the conference and the Whova app was able to let me pick which session I wanted to go to and perfectly integrated with my calendar app on my phone! The fact that It let me build my own schedule was awesome. "The best bang for your buck"
The app simplifies a lot of steps for event organizers. Registration, speaker information, agenda building, and live messaging are great. Also allows participants to interact without using the organizers as a go between. The name tag feature is wonky, It automatically lists an attendee's group category, but doesn't allow to customize the priority, or only count a person in one group of print jobs. We end up printing duplicate nametags for the same person and throwing them out. Another feature that users do not like is the automatic linking of a person's social media accounts by their registration email. This feels very invasive. Rather the app should prompt them to set up these features as desired. In addition, document sharing is essential, but costs extra as an added feature. I'd rather have this included in the base price. Way less paper involved. Real-time updating of the agenda. Increased interaction and networking between participants. It was nice to be able to have instant access to all the events scheduled for my conference in one place. It really made it easy to plan your day out. Nothing. It was a great app and made it really easy to navigate our leadership conference. I saw many people using it as well. This app made our conference so much better! Really helpful and didn't require you to carry around a bunch of paper to keep up with schedules. You could easily find all the different breakout sessions and figure out which one you wanted to attend. I liked that you could plan your own schedule on the app. I liked that people were able to post available jobs on the app, as well as, post events outside of the regularly scheduled events. Great way to network and stay up to date with what is happening at the conference. Was really nice being able to share photos, topics, and updates with the whole conference. The only thing I would change would be the availability of the conference attendees list. This made the conference experience so much better. I was able to connect with people I normally would probably have missed. We were able to form topics, give reviews of workshops, create outings, get announcements concerning events and schedules all from within the app. It also listed everything personally scheduled per person. Whova made the trade show experience so much better than without it. We used it for the conference. It made mass communication and networking extremely easy and efficient. I liked the ease of adding sessions to my agenda. The reminders let me know where I needed to go. I really liked how much all of the conference participants were able to network with each other. We shared tips and food reviews. We set meet ups to discuss similar issues with our businesses. There is a lot to like about this app. I think the information under "Additional Resources" doesn't need to be hidden. Also, I would like a way to clear new messages without having to go to every topic to find them. I was pleasantly surprised when the notes I took in the app got emailed to me. "Best ever app experience during a conference "
The Whova app has an amazing platform. I loved how I was able to plan out my conference right within the app. I didn't even need the brochure. All details were included, all the parties and the communication with other attendees as well as the speakers was so cool! There really wasn't anything that I disliked about the app. I've worked on other conferences and I can't wait to share this app with them. I only used it during a conference, so it really allowed me to organize my days with over 150 classes to choose from, it allowed me to really focus on what was important to me and move from class to class easily. "1st time user of the Whova App at our Conference: Incredible Experience"
The ability to browse conference sessions and add them to your agenda with reminders is AMAZING. I feel much more organized at conferences, and I don't have to tote around the giant program magazine and flip through hundreds of pages to find session details. It's also a great way to connect and network with other attendees! I'm writing this review as a user of the app, rather than a business partner. With that said, it solved my personal problem of being unorganized at conferences and has positively impacted my entire conference experience. From a participants perspective this app is easy to use and gives incredible ability to connect with other attendees and find out more about exhibitors. The maps, agenda and descriptions are great to have at your fingertips. From a confernece planner perspective this app gives us a unique and board area to attract returning and new sponsors. The LeadGen software and connection avenues are an immense asset to any exhibitor or sponsor. Huge ROI! When the platform was ‘improved’ 2 years ago I thought the accessibility decreased but our users didn’t seem to mind. I much preferred the colorful and icon based home page. Easy to use and navigate. Loved being able to upload pictures directly onto the app. It was nice having all of the sessions and descriptions in digital format and the convenience of having it on my phone. I liked being able to set reminders for each session as well. You won't be disappointed. It's a very convenient, easy to use app that helps keep you informed. I loved that all the attendees are listed, and are available to message or with group message boards to get together with people you may not connect with through the time you have. Having an agenda, and having all of the materials available to upload from those classes is so convenient! I was raving about this app as soon as I downloaded it. With the agenda, it can be difficult to manage it in a way to compare all the classes next to each other to see what I really want to do and what the times are to for the subsessions - you have to click in within each session and then click on subsessions to get abstracts to see if it's something you're interested in, then go all the way back out and back into a different one to compare. It's made it much easier to network and reach/communicate with the speakers who have their contact info listed on the app! "Finally a tool to manage Networking in exhibitions"
Having the possibility of selecting the most interesting talks and organizing a personal agenda, which allows combining the technical contents and networking is fantastic. The option of having direct chat with specific people, creating groups and consolidating a network of contacts is very beneficial for those of us who focus on doing business. During the development of Cannatech Panama, there were delays in the schedules, some talks were canceled and the agenda of the application was not updated according to the changes. Whova is like a personal executive assistant, I was able to meet many of the attendees through their profiles in the app, we even had appointments made in advance of the start of the event. It is not necessary now to use business cards when in the app you can find all the information, even much more than you can enter into a small business card. Its platform is intuitive, you can link your social networks like facebbok (and professionals) and expand business opportunities, so much so that you can show your professional profile with the most influential people in the sector in which you work. I really loved being involved in conversations before and after the event via the app. It provides an exclusive and engaging platform for the attendees, speakers and facilitators. It really helped me feel connected to the event, know what was going on, plan my day and connect with people before meeting! I would have liked a few more pictures to go with the events and a compass synced a map to navigate would have been nice. I have some fun ideas for extra engagement too. There needs to be a map component as many conventions use alternative or large spaces that can be difficult to navigate for people who are not familiar with the space. "Make your event modern in an easy way"
The best points are multi-functional and easy-to-use. We can integrate all the information of our events into the app, such as agenda, discussion board, announcement, map and check-in system. Besides, it provides a convenient social platform for attendees. For administrators, it's easy to make announcements, track attendees' check-in status and so on. Everything is easy. For most adminstrators of Whova event, it's easy to use because it set everything in knids of templates. However, we mingt need more configurable settings, such as disable some functions, set more complex agenda structure, authority control of differnt attendee groups, and so on. Besides, the price is expensive if there are only a few attendees and they don't need a lot of social functions. So if the price is also configureable, it's much better. We used Whova for organizing the annual meetings of our research community. With the Whova app, attendees got a more modern experience of attending a conference. It's much easier to use the interactive app for checking meeting information. In addition, attendees can use social functions to organize small-group meeting and dinner by themselves. For us, meeting organizers, we can update meeting information and make announcements easily. Besides, it's very easy to set a conference in Whova dashboard page, I used only one or two hours to do that. "4th time using the app and I'm still impressed." This is my 4th time using the Whova app and I have seen the progression in its features and accountability. I am glad that the team is listening to the concerns of their users and implementing changes. At the event I could see how many people were enjoying the community board because of the amount of conversation being started and how many activities were being planned to meet people outside of the event. Maybe if we could have changed the text sizes or had more options for text. so far so good, I like it. I recommend to people who attending events, a great app! The app is aiding in events becoming more technological rather than the simple ways they used to be held. I cannot even imagine going back to paper brochures, because of how interactive and advanced this app is and how much it brought the community together. "This app saved us so much time"
Whova has so many great features that proved useful throughout the entire event. Creating badges and using QR code scanner technology to check people in, facilitated the process and resulted in lower waiting times. Nothing at the moment yet. 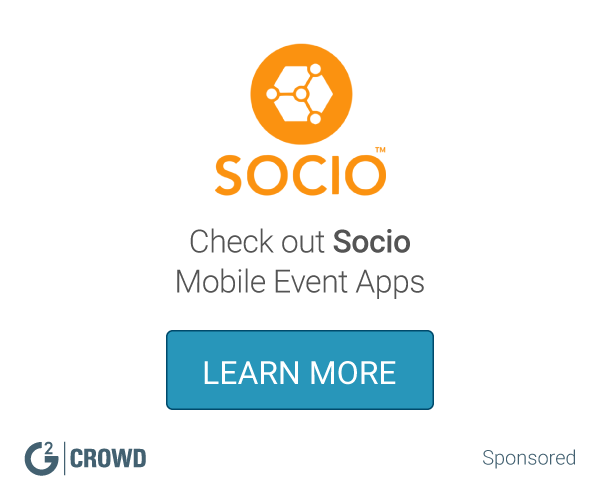 I would like to recommend this app to any event organizers. If you have any questions, just reach out to the customer support team, they are awesome! Very responsive and patient! A lot of time was saved and in general our organizers heard lots of great reviews about Whova, so we will definitley be using them again. I think our attendees appreciated the ease of the app and how interactive it was. "Great for apps but not so great for registrations"
When we used their registration for our big conference, we did not find it to be robust enough for our needs. It is likely fine for events that are for less than 100 people but not for large events. It's great for their app product because you can have an app for your attendees without all of the expense and headache of creating one on your own. I would not recommend their event registration if you expect more than 100 people. The ability to have an app for our conference attendees. "Best Conference and Exhibition App around." "One size fits all". One of the most important features is that the App can be tailored for any conference, anywhere in the world - 1 App on your phone for conferences!! Totally versatile and interactive. Dev/support team always willing to take suggestions and act upon them. A single App that works on any continent and in any country with no tech hassles. "Takes Conference Networking to the Next Level"
Contact information of all attendees available on the app. Nothing! It blends into the background of the conference experience. You can use it as little or as much as you want. I have no experience implementing Whova, only using it as an attendee. But I've used it for 3 conferences and greatly appreciate it. As an introvert, Whova helps me successfully network even if I forget their names and they don't have a card. Whova provides everyone's contact information, so say goodbye to awkwardly stalking people at conferences when you forgot to write down their email address when you first talked to them. "Great Program/App for Marketing at Conferences"
You can easily find the conference your company is participating in. By having the app on your phone, you can review the agenda, and see the attendee list, which is great for targeting specific leads, and engage in messaging with other conference attendees. Overall, it's a great tool for networking at conferences. For some events, lead generation is limited if you are an exhibitor or sponsor at a conference that is listed on the Whova site. In other words, you can't access delegate information so it limits targeting to some degree and you don't get any results at all for an event if it is not uploaded to Whova. Whova is another avenue that our company is using to generate leads, particularly at conferences/events. We are also able to start relationship building right away by engaging in texting and conversation groups through the app. "Very Organized and easy to work." What I like the best about Whova is the organization. The organization on Whova is extremely easy to work and fun to use. The Whova app can be used for anything that is educational realated and more. My Whova app helped me stay on task and to be sure that I was where I was supposed to be . The only dislike that I have about Whova is that it can get a little difficult finding certain things from time to time . The Business Problems I was solving with Whova was conferences that I attend about History. Also how to become a better person in life and tips that will help me in life. The benefits that Whova has gave me was to stay on task and always be focused. It's easy to use and can used before even arriving at the conference. Many people started getting involved before they had even attended for the first time. Pretty good sign the app it easy to figure out without someone walking them through it. The App doesn't look very exciting but it doesn't need to. I realize it can be adjusted by clients desires but for us I think it worked great just looked a little blah. Do it! Great product, very flexible and highly useful! Great for conferences! The speakers were able to address the audience and allow us to have access to the slides before they even presented and still access after the conference was over. This also helped us share the information with other that couldn't attend the conference. "Good app to navigate large conferences, but could be better with more options to personalize"
Whoa makes it really easy to follow the conference agenda and public announcements. It also allows you to see all the registered attendees and connect with them . The job posting board is very helpful for those looking for job opportunities. (It is the most popular feature in the conferences that I attend.) Finally, it provides a good platform to plan social events. The group messaging can lead to a lot of unwanted messages in the app. There should be options to unsubscribe from conversations. The e-mail traffic can be a bit high, and it would be good if the e-mail settings could be personalized easily. Finally, the UI is not very intuitive in certain aspects. For example, it takes 5-6 clicks to locate the day's agenda. The app could also use a more user-friendly front-end where one can see a summary of all daily activities (like a news feed). Right now, you can miss a lot of social activities that are buried under many sub-sub-sections of the app. It works best when everyone is subscribed to the app (like any social networking app), so it's best if the conference organizers encourage participation. It takes a little bit of time to get used to the UI, but it's worth the effort. Conference networking. I was able to freely arrange meetings and social events without much hassle. Job Posting. The Whova app is a great platform for folks to post job postings during the conference and quickly connect with interested candidates. "The app was easy to use. " I wanted to upload my resume but could not figure out how. It is an excellent product for an audience that has some tech know-how. My company attends many international conferences, and this would be an excellent resource for such gatherings, especially where a considerable amount of printing is done. I haven't used it for work yet. The MIT conference was my first time learning about the app. "This App Enhanced My Conference Exper"
I enjoyed the ability to download the slide material from the app as well as follow along the slide material with the app. The networking opportunity it creates was timeless . The only downside I would say is that it did not synchronize what you have read when viewing from different devices . The app allowed my first time conference experience to be seamless . I was able to see what events were being held at specific times and schedule them with reminders . "An Ideal Event Management Tool for Our Annual Conference"
The app is affordable in price for the amount of features you get. I don't have any complaints about Whova, in fact we will be using it again for our next conference. If you're looking for something that is easy to implement, cost effective, user-friendly, and intuitive, I would recommend Whova to any company that holds events. Whova provides a simplistic way for our event attendees to obtain pertinent information regarding our annual user conference we hold each year before and during the event. "Smoothly updates information to all platforms"
This app has so many cool features that are necessary for optimizing an event's functioning. - Whova includes a scheduling tool which shows the events going on throughout the day and even integrates your own calendar, so you can decide what times work for you. - Also any information that changes or needs to be updated, will be updated simultaneously so that all information is the most new and relevant. I would recommend this company and app to any event organizers looking for a future with smooth event planning. This app helps with reducing any confusion when it comes to where and when a talk is being held, because everything is automatically updated when the organizers want to change something. I have been to a lot of conferences but I appreciated SMMW19 using WHOVA because it made connecting with other attendees fun, interactive and easy! I made more friends using that app than I ever did at any other conference! The chat board and thread feature made connecting with like minded people easy where I was able to connect and make plans with people who wanted to do the same things! I wish there was a little bit more involved with social profiles and connecting. It would be great that you could create your profile in WHOVA and connect your social media profiles directly so people could follow you and connect even more! "The best (and perhaps only) conference app I’ve seen! " Conference agendas always confuse me to the point I dont even know which session am going to, but through the Whova app it was really convenient to go through the agenda and sessions. Oh, and networking! You can actually see all the people attending the conference and text them through the app and connect. It’s a great way to meet new people! Too many community posts. There were some 3000+ community posts which was really difficult to sift through and find topics you wanted to talk about. So I found people just creating duplicate topics instead. So maybe a better community management tool? Well, it’s a good conference management system for sure. Its the best when it comes to bring both attendees and service providers on one conference . Easy to advertise events . There are a variety of templates that makes whova unique . There are instances when you can't access whova when its too loaded its quite a hustle to find what you looking for . Its user friendly and allows customer service provider direct relation ,one can see who are attending an event in a conference. connecting with attendees and also other speakers is easy we share ideas and get to learn alot before an event and after as well .making sure we give our clients exactly what they want . "Conference needs? Try Whova! " The ease of navigating the app. You will be challenged to find an app that is easier to run a conference with. Additionally, the availability of and accessibility to the handouts. Very clean and user friendly. Nothing complicated at all. I also enjoyed the competition of engaging participants to utilize the app and social media. 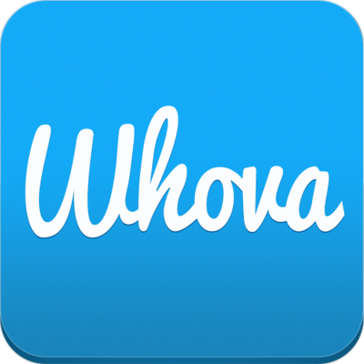 There was really nothing I disliked about the Whova app. Everything appeared to be functioning and working properly. It appeared to be somewhat difficult initially accessing the evaluations, but that was more of a user error and not that of the provider. Again, I didn't find any issues with the product. I was pleased with Whova. I enjoyed being on Whova because you connect to people at the conference and you are able to compete, friendly, on the leader board. You have to be careful about competing on the leader board because you may take away the experience of others who may want to be a part of the community activities but may not know how or may not want to compete on the leader board. The leader board is a good idea in some aspects, but it may not be a good idea if it takes away from people's experience. Be mindful of the community activity on Whova and make sure that you are aware that other conference participants want to be a part of the community activity. I am not sure if you are solving business problems with Whova. I realized that Whova offers many benefits to the conference attendees in terms of networking with other conference attendees and playing in the community board to compete on the leader board. "Engagement before, during and after"
Ability to connect with other participants. Easy access to schedule and up to date announcements. About the only thing I disliked was to learn more about things you had to click interested which gave you announcements you may not be interested in. Being able to connect with others who I wanted to learn more about. Being able to let larger groups know they could connect with me by finding me on the app. "Great up-to-date information in a snow storm!" With a snow storm arriving the first of our conference, and with speakers and attendees arriving 2 and 3 days into the conference, they had to move around sessions and break-out training. With the app we always know when and where the new/moved sessions where taking place. Could not have done it without it! I also used it to get a shared ride from the airport to the hotel when I arrived at midnight! Saved a lot of money that way! Wish the feedback (rating) part for each session was more prominent. Wish we could see slidshows in the app during and after each session. Planing what sessions to attend. The app was accurate and easy to use and it provided us the information that we needed. Sometimes the information lagged and it took a little while for us to get the information that was disseminated by the event's organizers. This app was used to communicate information across a college campus for a lot of students and it was easy to disseminate information. We conversed about first generation and low income students. "Fantastic app that connected conference participants much in ways they have never connected before." Literally all of it. Any possibility I hoped Whova would provide was already there. The fact that info and contacts stay saved within the app blew everyone away. It would be very useful to be able to use whova on the computer, too. Providing info about the conference and connecting participants is much easier and spontaneous with Whova. Contacting via dm in the app was greatly used. "Engaging community board features allowed me to meet a lot more attendees!" The community board in Whova’s app was my favorite thing, because I was able to connect with people before even meeting them! I also like that the Whova team was really responsive and great to work with. I can’t wait to use it at another conference or event and hope that many more events adopt the use of this application. I really cannot think of a dislike at the moment. I love the way Whova involves conference participants in discussion with each other even before the event and keeps them interacting throughout the conference. I personally enjoy playful competition, so I really got involved with earning points on the leaderboard. It seemed like some parts of the app were a little slow to respond or were not updating in real time. It brings the level of involvement by conference participants to a whole new level. It's fun! Whova is a great platform for connecting conference participants, learning about their interests, capturing their contact information and responding to their requests, like for copies of conference presentations. Whoa is truly a great app and tool for everyone to use from attendees to leaders. It is where everyone can essentially be on the same page. I was looking for an app like this for years. When finding Whova and using it for the first time for a very large conference the feedback was incredible. People said that it was easier to track the different conference sessions, meet up with people and believe it or not with the interactive map system it helped many not get lost. Because we work in creative design, ease of use and aesthetics are very important to me. I would say the one thing I am not to fond if is the apps aesthetic, however; this is probably just my opinion from a designer stand point. The products functionality is not affected by this. I would look over the demo for the app to see if it is what you are needing before paying for it. I also would pay close attention to the "extra" features that you will want to get when considering the price. Keeping everyone one the same page is important and I would say Whoa does just that. It gives everyone the same tool to use which makes gathering at a conference effortless, time changes and event updates easy and schedules on target. Very useful to contact attendees, to keep posted on unexpected updates of the events, to know of other activities related to the event. Excellent tool! Better understanding of the events and the attendees, it makes easier to acknowledge the profile of potential clients and so helps the company to approach them. "Great app for conference and other event managers calendars/agendas"
I like that event logistics and all the applicable websites and content can be used. I used Whova first for a regional science conference, and found it was excellent as far as ease to use it and get adapted to it over the paper agenda. I dislike the high cost. We considered using the Whova app for another science conference last summer, and had to go with another, due to high pricing. Excellent if you're managing an event the first time and don't want to figure out the mobile app on your own as much as with customer service assistance. Our science conferences are large enough that we need to provide paper and mobile-based agendas for all the events ongoing at the conference. Whova is an easy to navigate app that provides that. I tend to use the mobile apps over the paper agendas at all my conferences. So glad that I could go back later to look up attendees that I met in order to connect with them again. Just that there is a little learning curve. Maybe could be a smoother integration with LinkedIn. May just be that I need to attend more events so that I use the app more. The app had the agenda and an extra agenda with the workshops I chose the attend. Those workshops were also added to my calendar which made going to back-to-back workshops go smoothly. I’ve only used the app for two days in a conference, I didn't find anything to dislike about it. The networking feature is very convenient and I like having the agenda with me everywhere. Ability to engage with other conference attendees before, during and after event. Very easy to view conference schedule and plan which breakout sessions you definitely want to attend. I would like to be able to remove some of the conversations happening in the "Community" tab so I could better find/track those I am interested in. There were so many different conversation topics added by users in the community tab which is great, but would like to remove those not relevant just for ease of navigating. I liked the ability to communicate before the conference started. I also like the freedom for people to start topics and discussions. I was a exhibitor so I loved the scanning of contact info and ability to write notes. I was a exhibitor and would have liked to have a desktop version to use both my phone and my computer. As a exhibitor at the conference I liked scanning prospects contact information and being able to write note on their profiles. I did not need business cards or note pad to keep my information. It all exported easy to Excel. Creating my own agenda for workshops to attend. Knowing who is attending the conference. Communications with small groups for different reasons (i.e. social gatherings, ad hoc meetings, and small groups that are not an official SIG). Having the handouts available through the app is great. Although the handouts are available, not everyone uploaded their presentation. It is great for networking as well as providing up to date information about the conference as they happen. In one of the SIG sessions, the presenter sent us a link through Whova to start our own listserv outside of SAHM to continue communications. "Conference details at your fingertips"
Whova made it easy to enjoy the conference and concentrate on learning. Easy to navigate events, reminders, find a list of attendees and link to their linkedin profile. Nothing negative to say, the application worked wonderfully. This product is an excellent way to organize your conference details and make it easy to engage with your attendees. - a desktop version so that I can message or search for people with convenience of full keyboard and copy/paste functions when I am at my laptop. "Not easy to get started"
Different strokes for different folks - I will not use or recommend - To much hidden from a potential customer, like Price why do you have to get a demo I am not a big fan of that type of procedure "Bait and switch." Let us try it out and for heaven sakes at least tell us the potential cost. "Fun way to share knowledge "
* We monitor all Whova reviews to prevent fraudulent reviews and keep review quality high. We do not post reviews by company employees or direct competitors. Validated reviews require the user to submit a screenshot of the product containing their user ID, in order to verify a user is an actual user of the product. Hi there! Are you looking to implement a solution like Whova?